The Drugs Policy as amended from time to time envisages making available quality medicines at affordable prices to the masses. 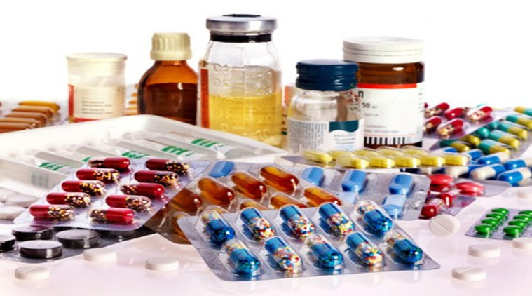 National Pharmaceuticals Pricing Authority (NPPA) under the Department of Pharmaceuticals has fixed the ceiling price of drugs placed in the first schedule to the Drugs (Prices Control) Order, 2013. In case of non-scheduled formulations, the Maximum Retail Prices (MRP) cannot be increased by more than 10% during the preceding 12 month period. Public Health and hospitals being a state subject, the States/UTs also take requisite action to ensure the availability of cheap/free medicines for the people. The Central Government, under the National Health Mission (NHM), provides financial and technical support to theStates/UTs for strengthening their healthcare delivery system including support for provision of essential drugs free of cost to those who access public health facilities under the NHM Free Drugs Service Initiative. All the States/UTs have reported that they have notified free drug policy in their respective States/UTs. The Department of Pharmaceuticals has prepared a Uniform Code for Pharmaceutical Marketing Practices (UCPMP) which has been implemented by pharmaceutical companies with effect from 01.01.2015. Further, Medical Council of India (MCI) or the appropriate State Medical Councils have been empowered to take disciplinary action against a doctor for violation of the provisions of the Indian Medical Council (Professional Conduct, Etiquette and Ethics) Regulations, 2002. In order to promote the use of cheap generic drugs in the country including in rural areas and with the objective of making available quality generic drugs at affordable prices to all, 2052 Kendras have been startedin the country under a countrywide campaign in the name of ‘PradhanMantriBhartiyaJanaushadhiPariyojana’ (PMBJP). Further, the Ministry of Health and Family Welfare has started AMRIT (Affordable Medicines and Reasonable Implants for Treatment) stores where essential life saving medicines and implants including stents are being provided at a substantial discount vis-à-vis the Maximum Retail Price.